First of all, kudos to you for deciding on Snapchat to promote your business. In case you haven’t heard, Snapchat just surpassed Twitter by amassing 150 million monthly users. Now that you’ve decided to create content for Snapchat, you might be wondering how to stand out and what strategy will work. Sure you can take a cue from businesses that are successfully using Snapchat to help strengthen your brand presence. But Snapchat needs much more than a competitor analysis. Let’s look at some tips to promote your business on Snapchat. 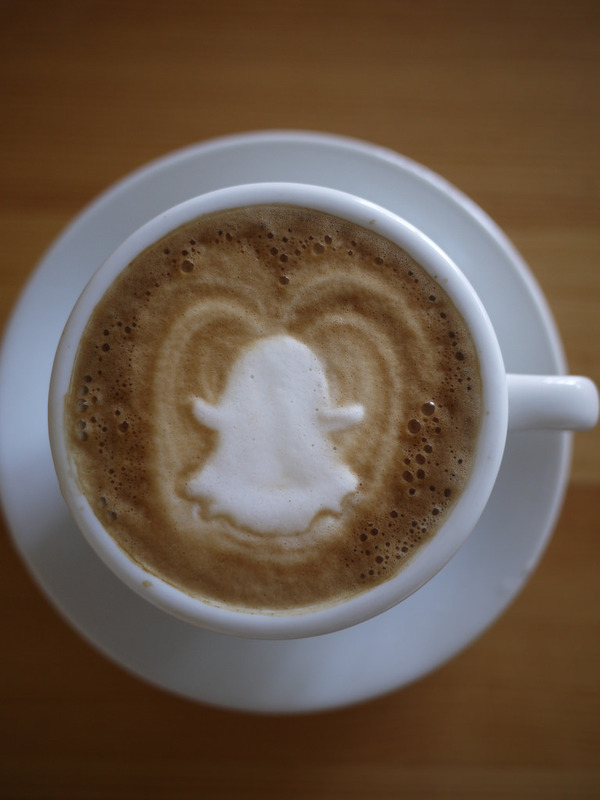 Most brands use Snapchat because of its authenticity. You can use this attribute to strengthen your community ties by publishing content that shows a similar but different side to your brand. For instance, you can make your fans feel like insiders by providing content that’s not available on your other social channels. This excites users because they feel they’re in the know and will develop an emotional connection to you and your content. A certain music producer DJ Khaled has created one of the most engaging Snapchat communities with over 2 million followers – a quarter of them watch his snaps within the first 5 minutes. With his 24-hour Snapchat stories, he provides daily insights, otherwise known as “keys to success,” through inspirational advice and commentary on his life’s adventures. By consistently providing exclusive content to your Snapchat community, you create a sense of trust and inclusivity. Some of the best ways to build customer loyalty are by conducting social media giveaways and contests. You can use snaps to offer insider access, promo codes or discounts with a Snapchat scavenger hunt. Build anticipation by pushing out a series of posts when you announce the giveaway or promotional offer on Snapchat prior to the launch date. One of the best examples of this can be attributed to Heineken. With the SnapWho campaign at the Coachella music festival, Heineken snapped clues hinting about special performances at the Heineken House. They prompted fans to respond with snaps on which artists would be there. If found correct, they received access and a sneak peek of when that concert would be happening. This campaign provided an exclusive element to concert goers and it reached fans who weren’t at the event but enjoyed the content nonetheless. Lessons for you – if you have a sales-driven angle, you can post a 10-second snap with a special Snapchat referral code or share a daily deal with your followers. Essentially social media is designed to be a two-way conversation with your community. Engage your followers by asking for their participation. You ask them to send in selfies featuring your product or encourage people to create a video on why they love your product. For the Super Bowl, Mountain Dew launched a 100% fan-driven interactive Snapchat campaign called Kick story for their new Kickstart breakfast drink. Fans voted on what would happen next in the story by taking screenshots to indicate the level of engagement. On a different track, Everlane asked their followers to screenshot their snap or chat with them for get exclusive information on their new shoe collection. If you’re trying to create a meaningful relationship, always ensure to respond to all your fans. By doing this you creative a sense of acceptance and make them feel included in your community. As with any social medium, your domain will have influencers on Snapchat. Persuade them to endorse you and tap into their fan following. Red Bull experimented by teaming up with Canadian snowboarder Mark McMorris by handing over the Snapchat account and allowed him to create stories that greatly enhanced the brand. He streamed all activities while surfing in San Diego and snowboarding at the Big Bear. The personal touch from these influencers makes your account seem less promotional and more personal. By telling their personal stories on popular accounts, influencers increase their fan following as well as the brands’. On a final note, with over 7 billion stories are viewed every day and the monthly active users pushing 150 million, Snapchat is the fastest growing social media and messaging application. So why not take advantage of it eh? Tell us how you engage your community on Snapchat in the comments section below.